In 2003, the Canadian Armed Forces were stuck in a period of transition for its Armoured Corps. The Corps’ squadrons of aging Leopard C2 tanks, the Canadian variant of the German Leopard 1, had already undergone a significant $145 million upgrade to strengthen the vehicle’s longevity. It was clear that the 30-year-old Cold War era tanks needed a replacement. Initially the government of Canada intended on procuring 66 Stryker Mobile Gun System (MGS): a variant of the modular Stryker based vehicles outfitted with a powerful 105mm gun. From a Canadian procurement standpoint, the project was economically sound, as the American Stryker-based vehicles were based on the Canadian LAV III platform. These armoured vehicles are produced by General Dynamics Land Systems: a defence manufacturer with a plant located in London, Ontario. Moreover, the Canadian Armed Forces’ use of the LAV III as its primary Infantry Fighting Vehicle (IFV) ensured that spare parts for the Stryker MGS would be in ready supply, thus reducing overall costs for the new Armoured Fleet. It was concluded by many that tanks were far too expensive to maintain during the War in Afghanistan and that a cheaper alternative was needed. However, not all defence critics believed in the Stryker MGS. Back in Ottawa, the push for a return to tank doctrine was spearheaded by former Armoured Officer and Conservative Defence Minister Gordon O’Connor. Those who supported the acquisition of the Leopard 2 argued that all the elements were reunited for a successful Armoured Vehicle: Survivability, Firepower, and Mobility. Its spaced multilayer armour and ability to upgrade the armour of the undercarriage mitigated the risks of Improvised Explosive Device (IED) and Rocket Propelled Grenade (RPG) attacks. While not completely invulnerable, this level of survivability was miles ahead of the Stryker MGS’ woefully inadequate 14.5mm of armoured plating, which was deemed only to be able to withstand low caliber small arms fire. Though the Stryker MGS also beats out the Leopard in speed, the tracked wheels of the Leopard allow its crew to smash through the mud-brick walls of Afghanistan with ease. The year 2006 would resolve the Armoured conundrum. Three years since the Stryker MGS procurement proposal, Canadian Armed Forces members had sustained significant casualties from IEDs and RPGs. These threats saw Canadian LAV IIIs destroyed or badly damaged by carefully timed ambushes from Taliban insurgents. Due to a lack of survivability, the Stryker MGS was thus overlooked by the better armoured Leopard 2. However, from a traditional procurement point of view, it would seem odd for Canada to obtain Leopard 2 Tanks. For one the Stryker MGS were cheaper with a price tag of $460 million dollars for 66 vehicles, whereas DND estimated the cost for 100 new Leopards would be 1.3 billion dollars (including costs for 20 year maintenance). The initial 100 were all second-hand surplus bought from the Dutch and an additional 20 tanks would be loaned by the German Army. Protection were key elements for Canada’s new main battle tank, even if survivability came at the expense of a hefty price tag. While experts were deliberating on the pros and cons of the Leopard 2 and the Stryker MGS, Canada’s old fleet of Leopard C2s were sent to Afghanistan to support the Canadian battlegroup. The tanks and their crews participated in the pivotal Operation Medusa, one of the largest battles Canadians faced since the Korean War. Unlike prior engagements, Operation Medusa saw widespread use of conventional warfare tactics with infantry supported by armour, artillery and air support to flush the Taliban out of Panjwaii. Despite its age, it was during Operation Medusa that the old Leopards proved their worth and convinced the Government to invest in the newer Leopard 2. This refocus on tanks was met with criticism by strategists and the public alike. With Canadian Armed Forces moving towards Counter Insurgency Operations working in tandem with the Provincial Reconstruction Teams, critics argued that the shock and awe of tanks would be counterintuitive in the goal of winning the hearts and minds of the people and indicative of an escalation of force by the West. 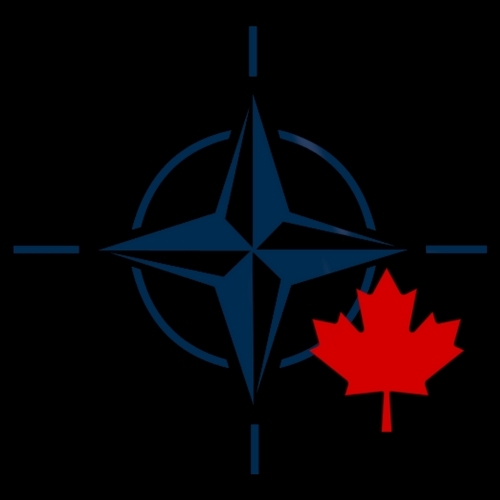 The acquisition of the Leopard 2 tanks from other NATO members marks an intriguing case study for the Canadian procurement system. With budget cuts during peacetime, it can be argued that the Government of Canada penny pinches when it comes to modernizing military equipment. In many respects, longevity projects are instated on older machines as demonstrated by the longevity projects on Canada’s Cold War-era Leopard C2 tanks. Even when a replacement is needed, Ottawa spends years finalizing the procurement of new military technology; as demonstrated by the search for replacements for the RCAF’s Sea Kings and CF-18s. The Leopard 2 procurement marks a drastic change from the norm, as the process of obtaining the new tank took only a year since Operation Medusa in 2006. Overall the Leopard 2 was the right tool at the right time and demonstrates that when lives are at stake, the Canadian Government can acquire crucial kit for its’ armed forces. 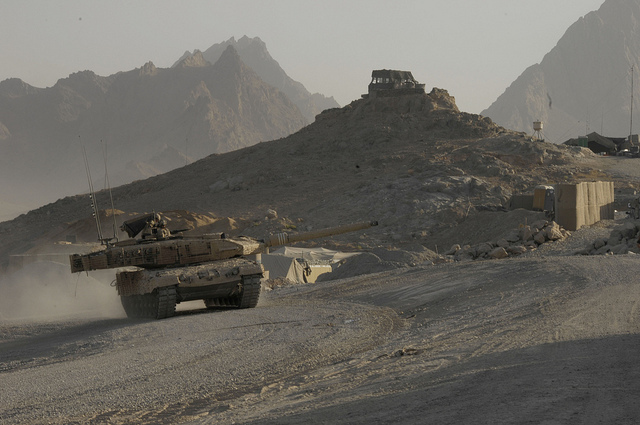 Photo: A newly acquired Canadian Forces Leopard 2 Main Battle Tank in Kandahar, Afghanistan (2008) by Cpl David Cribb, Canadian Forces via Flickr. Photo courtesy of Canadian Forces.